BMW presented its latest self-driving technology in the Vision Next 100 concept, which was unveiled in March. MUNICH -- BMW is accelerating plans to acquire technology expertise in a race with the likes of Apple and Google to make cars smart enough to react like human drivers. The automaker is pushing to acquire startups, partner with tech companies and hire talent to build an electronic brain for next-generation vehicles, Klaus Froehlich, BMW Group's head of development, said in an interview in Munich. At stake is billions of euros in potential profit as value in the auto industry gradually shifts to autonomous cars and taxis. "There's a power play going on with other companies buying up software competencies at a fast clip," Froehlich said. "We definitely need partners in this area, and we massively need to build out in-house resources too." BMW is positioning itself for a future when profit comes more from providing transport than selling vehicles. The luxury-auto market leader faces a particularly tough challenge because it has built its identity around driving performance. Robo-taxis will make up 40 percent of automotive profits by 2030, the biggest single source of money to be made, according to consulting company Roland Berger. Underscoring these prospects, Uber Technologies Inc. is valued at $62.5 billion, more than BMW's 46.7 billion euros ($51 billion) despite the carmaker's global factory network, some 122,000 employees and more than 2 million vehicles built last year. The company that manages to offer driverless ride sharing cheaply and first "will dominate this market," said Froehlich. "It's a business proposition worth billions in profits that will cost billions to develop." The next level of driverless technology needs to process the world more like human brains do, decoding data from sensors, cameras and radar to react to surprises and avoid collisions. 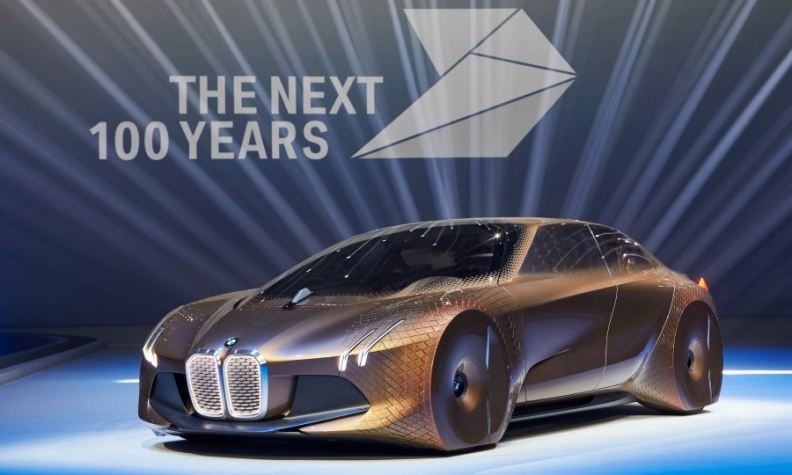 BMW's cooperation with tech companies will probably focus on startups. One example is the minority stake BMW iVentures took in RideCell, its partner for a ride-booking service getting started in Seattle this year. Some of the key players in the field of sensor-interpreting software for cars include Autoliv and Nvidia, and Froehlich noted Mobileye’s strong reputation for cameras and software to evaluate visual data. BMW acquired another important piece in the puzzle last year, the real-time maps unit HERE. BMW, Mercedes-Benz and Audi bought HERE from Nokia Oyj for 2.8 billion euros and are seeking more partners. The consortium will probably finish adding members by the end of the year, Froehlich said. HERE needs partners with cloud-based and analytical skills, he said, while other companies in industries, including consumer electronics and logistics, would be "highly welcome." "We have a large number of parties expressing interest," Froehlich said.